There are so many glamorous things about entrepreneurship. No boss! Flexible schedule! Work in pajamas! FREEDOM! Hey, I’m not denying any of those things. They’re true, and they’re frickin’ awesome. But what nobody tells you is that entrepreneurship is LONELY with a capital L. Most of us, especially in service based businesses, work alone. There’s even a name for it, solopreneur. There is no water cooler talk, or even talking to co-workers. Because we have no co-workers! It’s just us. Alone. In our pajamas. With our cat. Slouching over a MacBook at home. I have a rule where I must leave the house at least once a day - at the most pathetic level, to go to the grocery store and use the self-checkout machine. At best - to do lunch with a friend, or go on a client shoot. The most important thing we need is human contact and support. What happens when you get in a tricky client situation? You’re not sure how to reply to someone asking for a discount? You don’t know how to set up your blog correctly? It’s time to phone a friend! We need people to help put out our fires and celebrate our wins. "But how can I just MAKE friends who happen to be in the same boat as me, Lena?" Start online! There are SO many Facebook groups in the universe. Rising Tide Society has local chapters all over the country. Most cities and states have local photography, business, florist groups. Start chatting with people in there. Put your questions there, and let the community help answer them. The next step is taking these online relationships into the real world. Is your group having a meet-up? Make an effort to go! If they aren’t, why don’t you host one? We all have people we interact with on Instagram on a daily basis, spreading the love and supporting each other, sometimes for years! Ask them to meet for coffee. Chat in person, swap numbers. Then remember to go out AGAIN! This is how to build relationships with people in your industry. It’s not about "networking", it’s about having a system of genuine people in place to help you through the good times and the bad times. Having 1-3 people you can text with a question, concern, or win is the goal here. 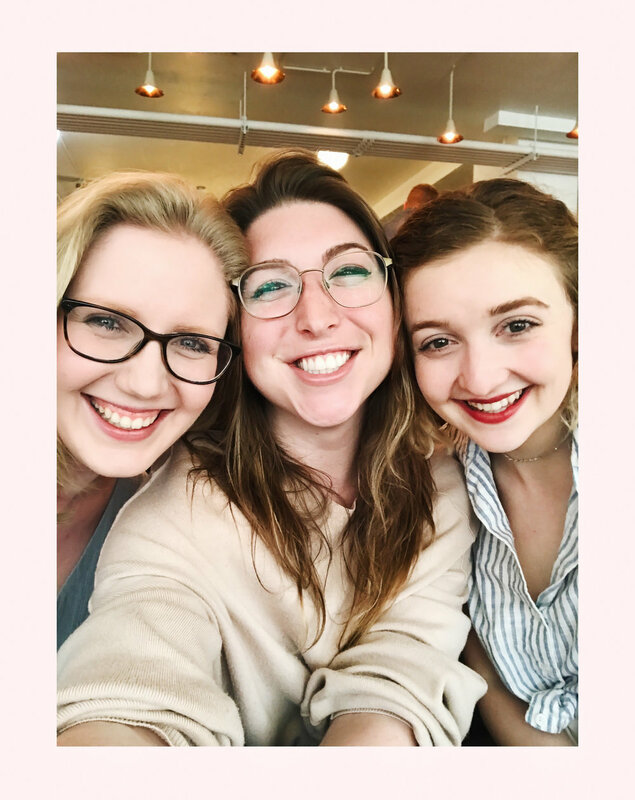 Running your own business can be lonely, scary, and overwhelming - so take action to create your own “tribe” of people who will lift each other up and serve as a support system. @katelphoto + @meilinbarral + @juliettelaura!